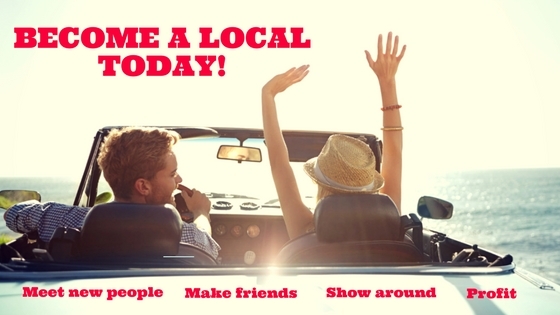 Become a TravelPapa Local to discover the part-time job of your dreams! Being a TravelPapa Local is very exciting and entertaining! You can meet new people, make friends and earn new experiences. Moreover, anyone can become a TravelPapa Local and there's no exam needed to join! Just imagine the amount of fun you will have spending time with your new friends from all over the globe. All you need is a passion for meeting new people, for communicating and walking and of course...some free time. You can join us now and enjoy all the benefits of becoming a TravelPapa Local. Have you ever thought about what the part-time job of your dreams looks like? Here it is!